This Blog is Systematic. : Can you eat geometric returns? quote from article: "Hence the mean will be greater than the mean." Are you sure about this? Or is this a typo? Fantastic article. I've long felt that, for a single person, the median outcome is all that matters. After all, the person has a sample of 1 in the cross section. For example, a single person should plan to their median remaining lifespan, but an insurance company should plan to the mean expected lifespan. From this perspective, a pension company might optimize on mean wealth, because it represents a large cross section of Investors. But a single investor should optimize on the median outcome. Haven't quite figured out how to prove it yet. Should probably talk to an actuary. Thanks again for the article. im having a problem with get_IB_market_data function. The problem being the bid and ask price are the same? Sure its possible to happen for a fraction of a second until people update their prices. An example might be that the order book is at 1051.5 - 1051.75 with 10 lots on each side. Someone hits the bid at 1051.5 with a 15 lot order. The first 10 lots are filled and the 1051.5 quote is no longer the best bid. The remaining 5 lots offered at 1051.5 become the best offer. The last bid quote doesn't get 'deleted'; it can only be superseded once a new best bid appears in the market. If there wasn't a bid already in the order book at say 1051.25 then there is no new best bid. Sometimes the IB API will then send a 'NA' bid price but sometimes it takes a while for this to happen. It's more likely in thinly traded markets without much depth since quotes can remain stale for longer. The way to deal with this is to remove prices which are stale, say more than a few seconds old, and replace them yourself with NAs. Even though your answer makes perfect sense, I guess it's not what I'm getting here this time. I think there is something wrong with the function output because when inside of a loop of get_IB_market_data, it seems that sometime the function freezes and shows a standardized bid-ask price. 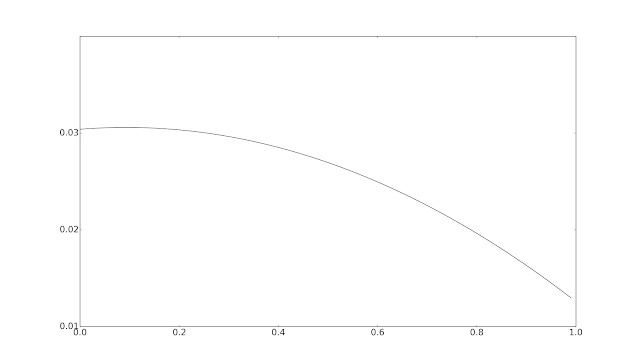 Below is the loop output from this function. If you want I can email you with more details. I just found a small bug in the code (wrapperv3.py). Try pulling from github and seeing if the issue goes away. Now when the 1050 quote appears, it appears always to both the bid and ask at the same time. 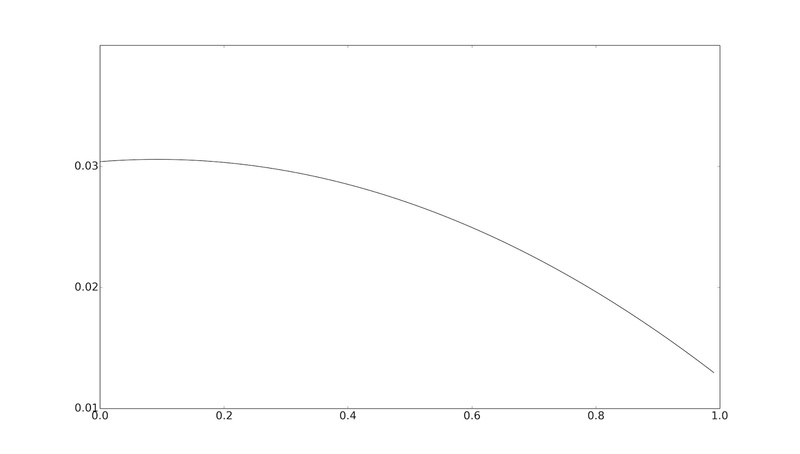 Its similar to your previous version of this function. Is this the reason why this problem is happening? Sorry I don't recognise the code you are showing... is it from https://github.com/robcarver17/ibswigsystematicexamples/blob/master/sysIB/wrapper_v3.py ? If not I can't help you. But I changed it to be similar to an old version where the conditional if didnt just waited an amount of seconds but also looked if any value was captured by data_tickdata[tickerid]. The error is not coming from my modification, I just tested it. So, I have no idea where this problem is coming from, maybe its an issue with IB datafeed. Hmmm. Its very hard to debug this kind of code. I'd suggest changing it so you don't terminate the loop until you have a bid and an ask at the same time, and you also wipe stale quotes out to ensure they're real and syncrhonised. To be honest: If you're going to actually use this to create an execution algo then you're probably going to need to do something a lot more complicated than this. Specifically you will need proper event driven code rather than pseudo event driven. Yes, I understand. I'm just trying to get a snapshot from the market with this code, I did it succesfully for all other assets but I'm getting this error for ZS. Anyway, thanks for your help. I do occasionally get weird stuff from the data feed i.e. a price of 0. But that is easy to filter out. The general chatter on the web is that the data feed isn't as reliable as others, and if you're doing proper low latency trading you certainly can't use it. However for my purposes it's worked well enough. I'd like to thank you also as we did together find this bug!!! What are your thoughts on using safe withdrawal rate as a benchmark for different investment options? To me this seems most relevant to people living off of their investments. One interesting thing I noticed is that safe withdrawal rate didn't seem to vary between say an 80/20 equity/bond split and 100% equities using historical sequence of returns in analysis tools like cFireSim (http://www.cfiresim.com/). What are your thoughts about this? Given how poor bond yields are currently I'm in a quandary about this. If you take the view that you can't predict risk adjusted returns then if anything someone withdrawing money should go for a safer portfolio (80/20 rather than 100/0). Its dangerous to start having subjective "poor bond yields" type thoughts. 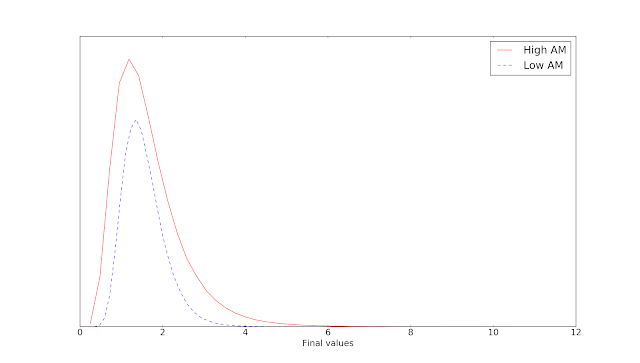 You should eithier use a systematic model to forecast returns or not bother. Actually at an asset class level relative yield is a very poor measure of performance compared to say 12 month momentum. Momentum is still positive for bonds, albiet not as strong as in equities. All this might justify a reduction from a strategic 80:20 split to a tactical 85:15 split, but no bigger change than that. ... or you could just wait for the next book which will discuss this in much more detail. 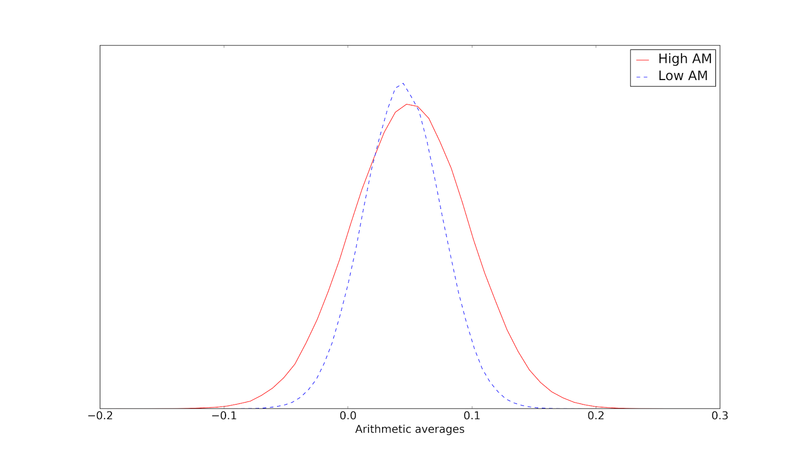 Shouldn’t the Sharpe Ratio use the geometric mean since it calculates off of percent averages? I use the geometric mean to measure my accounts avg. daily account growth since it is based off of daily percent averages. For instance, 4% growth represented by 1.04 and a 3% drawdown represented by 0.97, etc... Is this wrong? Should I be using the arithmetic mean? No you should use the geometric mean in the Sharpe Ratio, what you are doing is correct. No, Sharpe Ratio is intended for arithmetic returns which are required when you leverage/deleverage the tangency portfolio along the Capital Allocation Line. 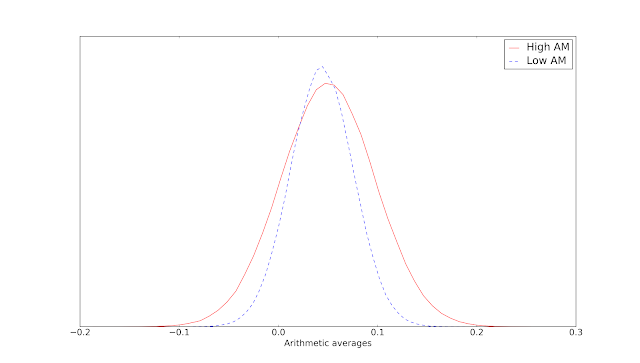 Average Arithmetic Returns - RFR / Volatility of Arithmetic does not vary as you increase/decrease leverage but it would certainly vary (defeating the purpose of the Sharpe Ratio) if you were to use LN returns. In other words, when you use sat 2x leverage, your LN returns are not 2x original LN returns. Sorry for the belated response, I thought I signed up for notifications but I guess I didn't. Anyway, I never hear of people using the geometric mean w/ the Sharpe Ratio (perhaps due to my ignorance), which is why I asked the question. Great Article, but you don't need to bring Risk Psychology into it. 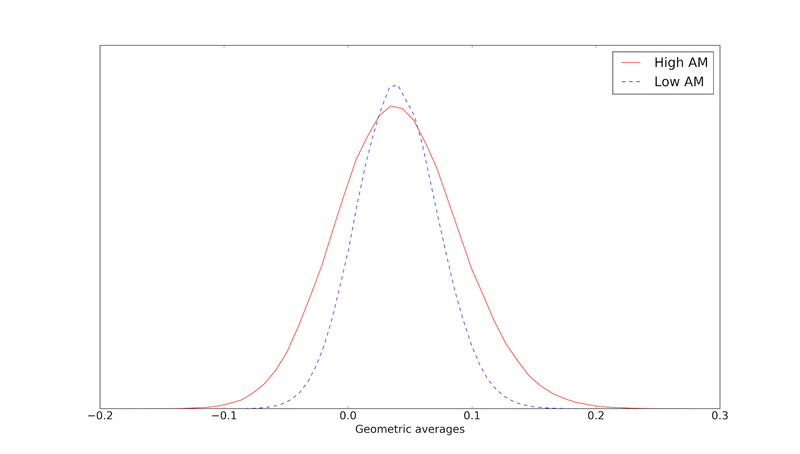 In repeated betting, geometric mean will max return as shown by the Kelly Criteria regardless of risk attitudes. Hey how can I reach you? Isn't this whole thing more about the choice how you calculate returns in the first place? If you decide to go for simple returns, you would get geometric "compounding" for multi-period returns while using continuous (log) returns you would simply add them for multi-period returns hence arithmetic mean seems correct in the latter case. The arithmetic mean of log returns is roughly equivalent to the geometric mean of simple returns, but if you check out the formulas above you'll see that isn't quite true. Are you familiar with Ole Peter's work here? He talks about how the classical economist model of expectation is wrong. The basic intuition is that we aren't actually trying to maximize across all possible universes. Rather we are trying to maximize across time in the universe we actually live in. I haven't sounds interesting, thanks.